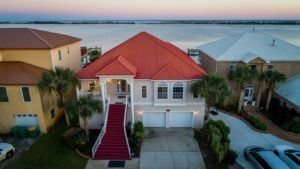 Santa Rosa Beach is located in Northwest Florida, in between Fort Walton Beach and Navarre. We are lucky enough to have two Air Force Bases on either side of us: Hurlburt Field and Eglin Air Force Base. We are honored to have the Military as a neighbor and support them as much as possible. City of Santa Rosa Beach is noted as one of the first areas settled in this part of Northwest Florida. The first settler of Santa Rosa Beach came in 1842 when Jesse Rogers and his family drove a large cattle herd from Louisiana to the shores of Santa Rosa Sound and settled here. Harris insurance has been providing business insurance, home insurance, auto insurance, and life insurance in Santa Rosa Beach Florida for 52 years. We are a local, family-owned, independent insurance firm in business since 1964. Our goal as an insurance provider is to protect our clients from potential financial loss while providing the best value from the insurance marketplace. Get started protecting your family and business today. Turn to our company for business, home, auto, and life insurance in Santa Rosa Beach, FL. With our years of experience, we can help you find the right insurance plan for your family or business. We’ve worked in the area since 1964, making us the oldest personal insurance brokerage in the Santa Rosa Beach area. With access to more than 150 different insurance companies, we can help you find the exact plan to match your coverage preferences and your budget.